Irish Christmas, traditions are centered on the family and to some extent these days on celebrations within the church. However, given Ireland’s ancient history many Irish Christmas traditions stretch far back in time to the days before any organized religion. 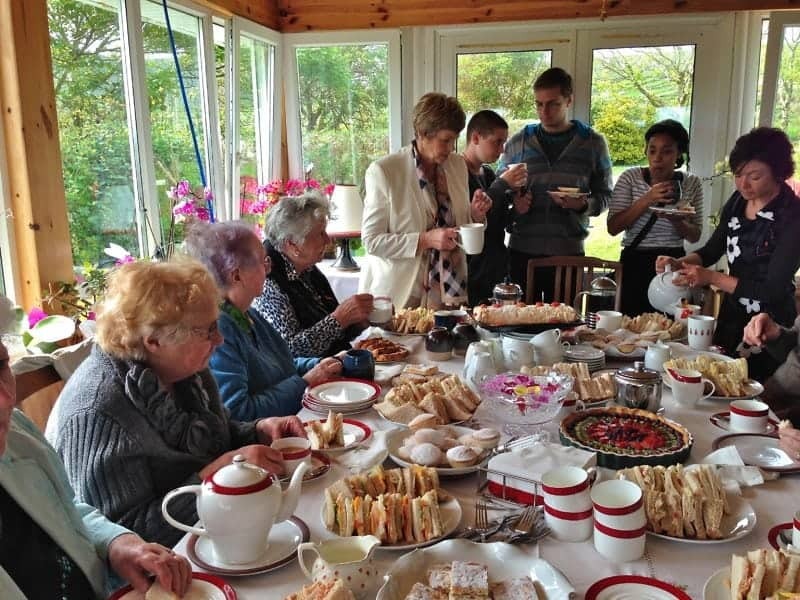 In Ireland Christmas is still very much family focused and even though there is a growing culture of consumption as in N. America Irish Christmas traditions still remain concentrated on family, friends, feasting and fun or the craic as it is called here. 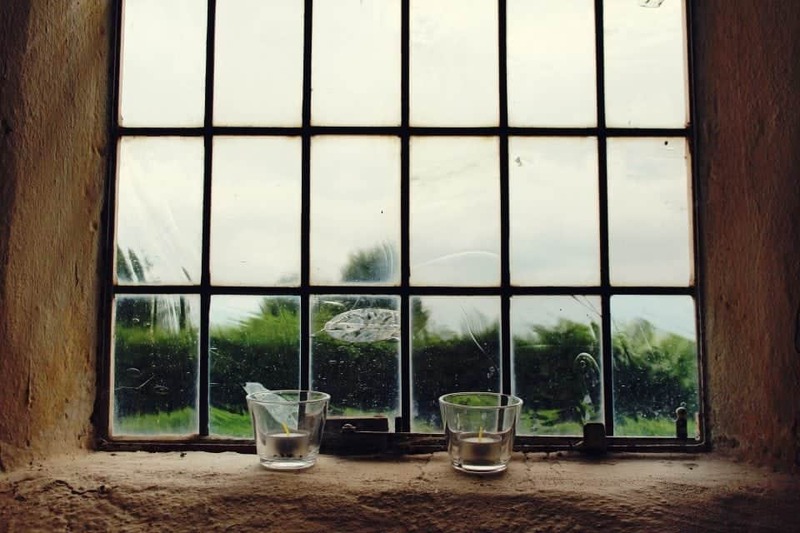 Traditionally in Catholic homes across Europe, a candle was placed in the window to show priests and Catholics that the house was welcoming to them. This became a tradition during times of the Reformation. Over the years, that tradition became a symbol of welcome to Mary and Joseph on their journey to Bethlehem. The candle was set to show strangers and that those who are part of the Irish diaspora are welcomed home. The ritual is also deeply connected to the Celtic and pre-Christian belief that the stranger may also be a god in disguise – you just never now and it can’t hurt to be welcoming. “a reminder to all the emigrants of the Irish Diaspora that Ireland welcomed them and remembered them. 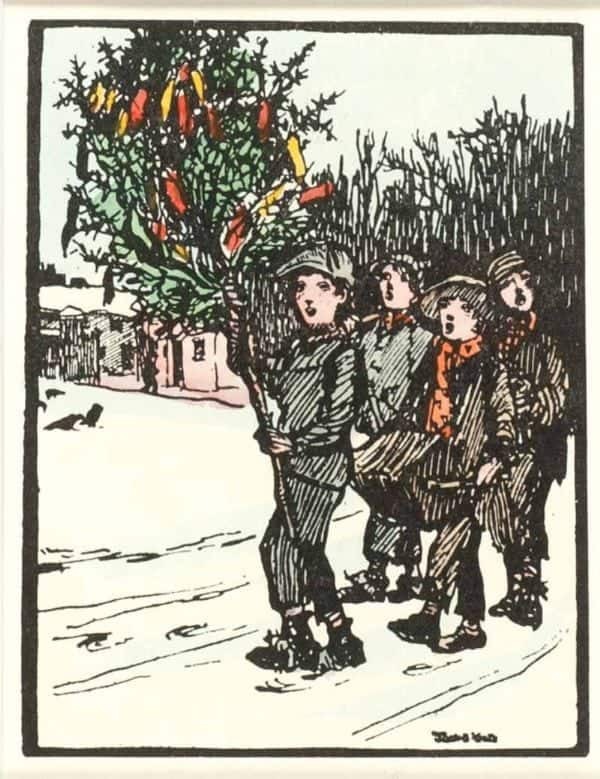 The Wren Boy Procession takes place on St. Stephen’s Day (Boxing Day to us N. Americans) and there are parades around the country. This tradition is making a comeback in some urban areas and there are many legends surround the “wren boy”. It’s an odd celebration or commemoration – the Wren Boys dress up in old clothes, blacken their faces with coal and parade around with a dead wren (in effigy these days). The poor wren was hunted and killed then paraded around on a pole with a holly bush and the dead wren. Some say it was because during the penal times in Ireland a village was planning an attack against the British. A little wren however, caused a ruckus by tapping its beak on the drum and awoke the sentries who then proceeded to ward of the attack. Other legends have it that the wren was a sacred Druid’s bird and so must be killed by the faithful Christians. In Celtic lore, the wren is a bird of the past year as it sings throughout the winter months. This would mean that the Wren Boys are re-enacting the death of the old year and the birth of the new one. Mummers or mumming is a traditional custom that dates back around 2500 years. In the ancient annals of Ulster, men in tall conical masks are mentioned as chief entertainers to King Conor, who lived at the royal fort of Emain Macha. You must have heard the expression “mums the word”? Mum is actually a Middle English word that means silence. So the “mummers” plays were, in the beginning mimed. Words were added much later but many of the original stories have been lost to time. Mumming was traditionally done during the harvest season and to represent and celebrate the end of the year. Mummers are found throughout the world from Newfoundland in Canada to Japan of all places. They are sometimes called Christmas Rhymers and Hogmanay Men. If this ancient tradition fascinates you as it does me, you can read much more about it on the Sligo Heritage site where you will find some fascinating information on these kinds of ancient traditions. Because Mary is essentially a sacred name as the mother of Jesus there have been several customs that have come about in Ireland in particular. A girl named Mary should light the candle in the window and she is the only one who can put it out. Mary is also the one who should be taking down the Christmas decorations or at the very least, a Mary should visit on that day in January. 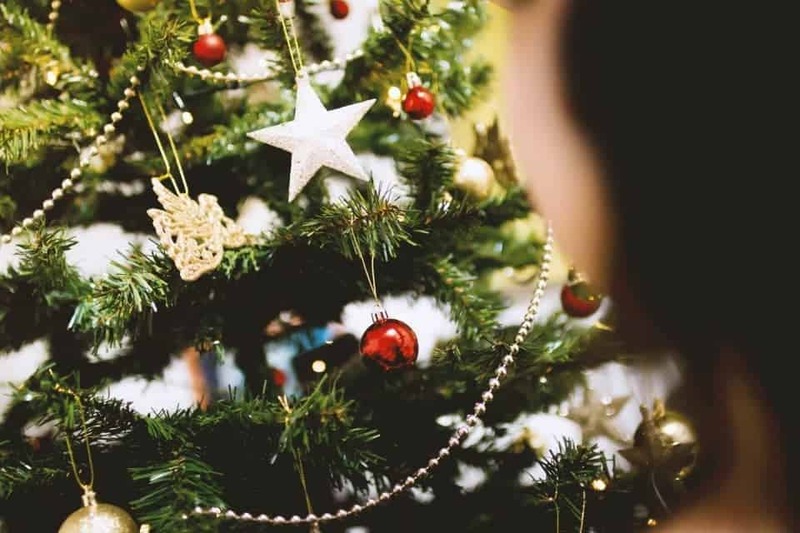 What is Little Christmas or Women’s Christmas in ireland? Little Christmas falls on the 6th of January which is also the Feast of the Epiphany and it is the traditional date for the end of the Christmas season. This is the day that all the decorations come down and men take over the house. The women who have worked themselves stupid during Christmas get to take a break and head out for a ladies lunch or a simple drink at the local. Many of us hang a Christmas wreath on our front doors at Christmas, but did you know the tradition started in Ireland? The widespread practice of placing a ring of Holly on a front door started in Ireland in pre-Christian days. 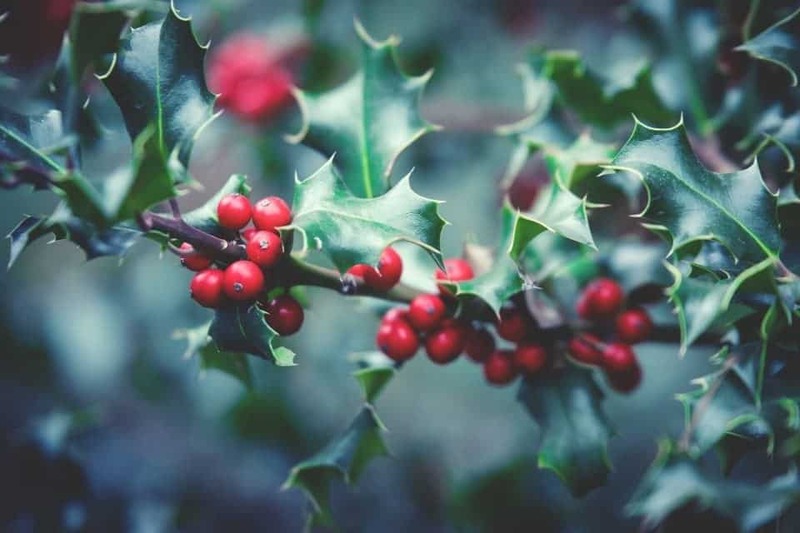 In Ireland, there was an ancient Celtic tradition of surrounding your doors and windows with holly and ivy as they had magical properties and kept the spirits away. Since holly and ivy stay green even during the winter months, they were thought to have some magical power and immune to the force of winter, which was thought to be the death of the old. Quite likely, the best attended mass of the year and even if you are not religious, it is a fantastic spectacle. Christmas choirs with the gorgeous resonance that can only be obtained with a beautiful church. Nativities both living and sculpted, Communion, and the ultimate gathering of the local community where you get to see and meet people you haven’t had a chance to visit with for a year. Like any other area in the world that celebrates Christmas Irish, houses are decorated with all manner of ornaments, wreaths, candles and the obvious. The 8th of December or thereabouts is usually the common date for putting up and decorating of the tree. Most Irish prefer the natural pine tree but of course, these days fake trees can be found everywhere. Many homes will also have a nativity set but the Baby Jesus in never placed in the manger until Christmas morning. 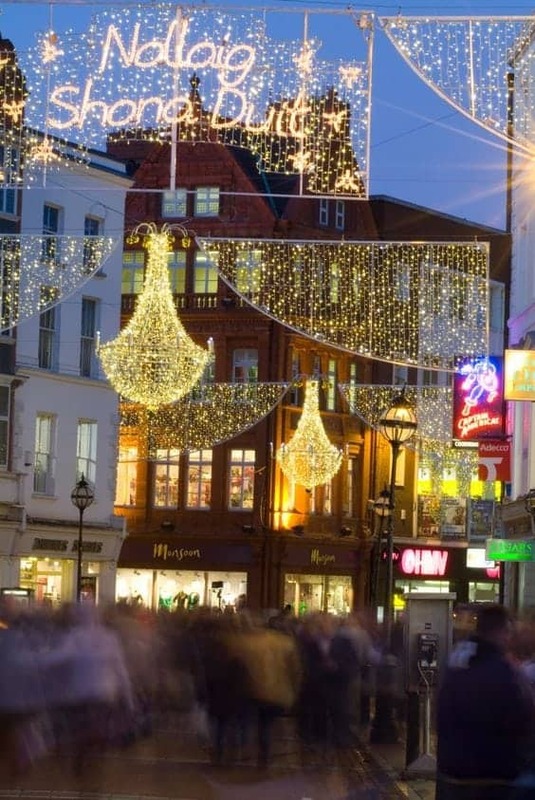 Larger urban centres like Dublin, Belfast, Cork, Limerick and so on will start decorating the city and hanging Christmas lights around this time as well. 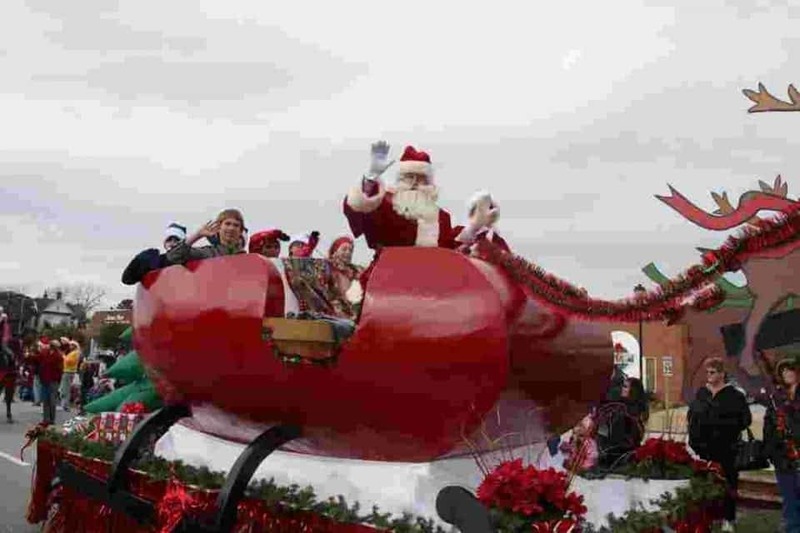 There is usually a big celebration with a celebrity roped in to turn on the lights and get the City ready for Christmas. Here in Ireland Santa Claus is known as “Santy” I don’t know why but it seems to be the way right across the country from the North to the South. There will always be a parade happening in a City big or small to celebrate the man’s annual journey. It just wouldn’t be Christmas without carol singers and here in Ireland you will hear them on every street corner. You may even get lucky to have some knock on your front door. Every school, church and local hall with have some kind of Christmas Carol event or evening, the most popular in Dublin are the Carols by Candlelight concerts at Christ Church Cathedral, while in Cork the Lord Mayor’s Christmas Concert in City Hall is a yearly favourite. It just wouldn’t be Christmas without a pantomime to take the kids to, and many adults will go just to bring back those memories. Panto is a tradition dating back to the Italian street theatre of the Commedia dell’arte in the 16th Century. Great entertainment for the whole family panto is participatory theatre at its funniest and finest. Father Ted is that quintessentially Irish piss take about a group of priests and their antics. 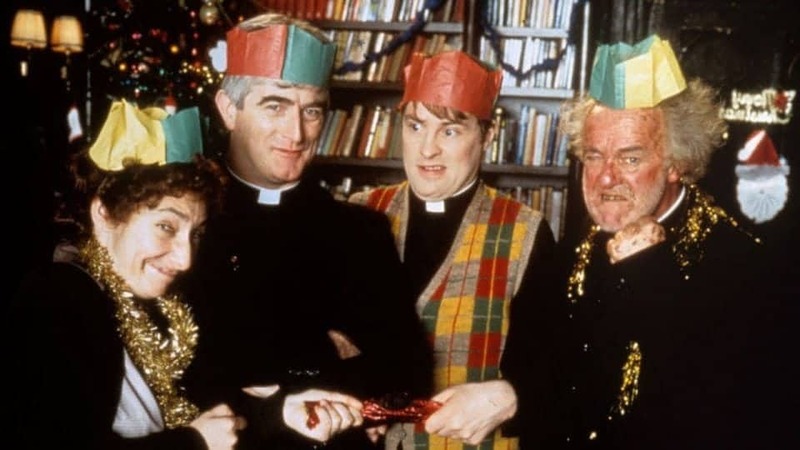 Millions may have seen the Father Ted Christmas show but over the past 20 odd years but it is still required Christmas vowing in most households. The show includes a fabulous funeral, Priests in a lingerie department and a huge amount of laughs. A traditional Irish Christmas dinner begins on Christmas Eve when the turkey or roast of some kind is shoved into the oven. Vegetable prep is done, potatoes are peeled for roasties, and mince pies are laid out alongside many a baked treat and chocolate, lots of chocolate. Booze will consist of everything you can think of the best Whiskey, Guinness, beers, and gin lots of gin, which has become very trendy these days. Every Irish home will have goodies laid out on the counter for those guests that will drop by, and drop by they do. 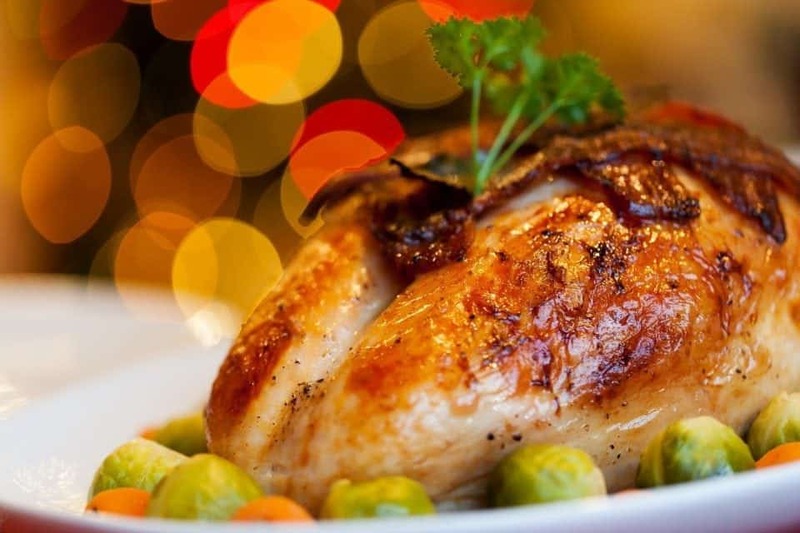 For the Irish Christmas dinner you can almost guarantee in most households there will be a roast turkey or preferably goose, a gammon (a beautiful Irish ham), and quite possibly a roast of beef or pork. The trimmings will include roasties (roast potatoes), mash or champ, Brussels sprouts (you don’t mess with tradition even if folks hate them). There’s also carrots, parsnips, cabbage, stuffing and gravy lots of gravy. An Irish Christmas Dinner will be served between 2 and 4 and sometimes will last that long. After this massive feast, the family will serve desserts that can include mince pies, plum pudding or Christmas pudding drowning in Whiskey. A traditional Irish Christmas cake is one of those recipes that have been handed down for generations in many Irish families. The cakes are made many weeks before Christmas so they can soak up all that luscious booze. Tradition says that when the children help make the cake they must make a wish while stirring the batter. The essential ingredients in an Irish Christmas Cake – dried fruits of all kinds especially those super sweet bright red glacé cherries. Once done the cake is iced with marzipan or an icing sugar glaze and set out for everyone to admire and tuck into. 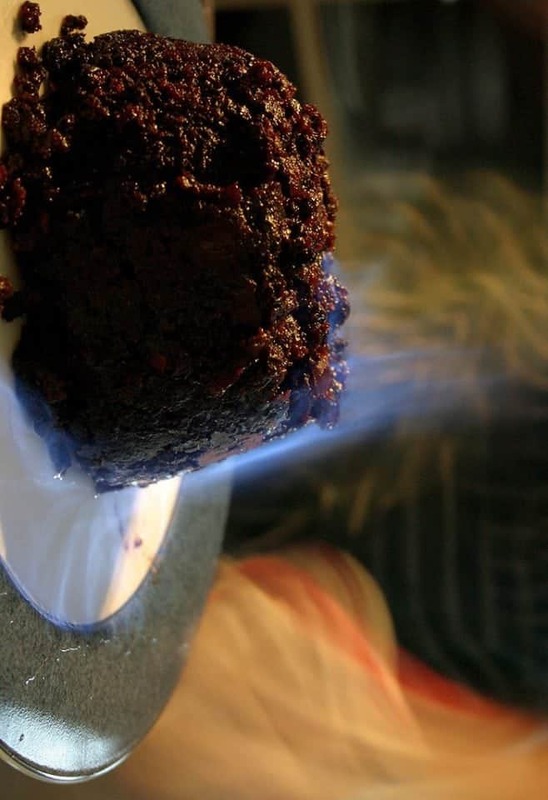 Christmas Pudding or Plum pudding now for some reasons plum pudding doesn’t contain plums but the Victorians called raisins plums therefore the name. 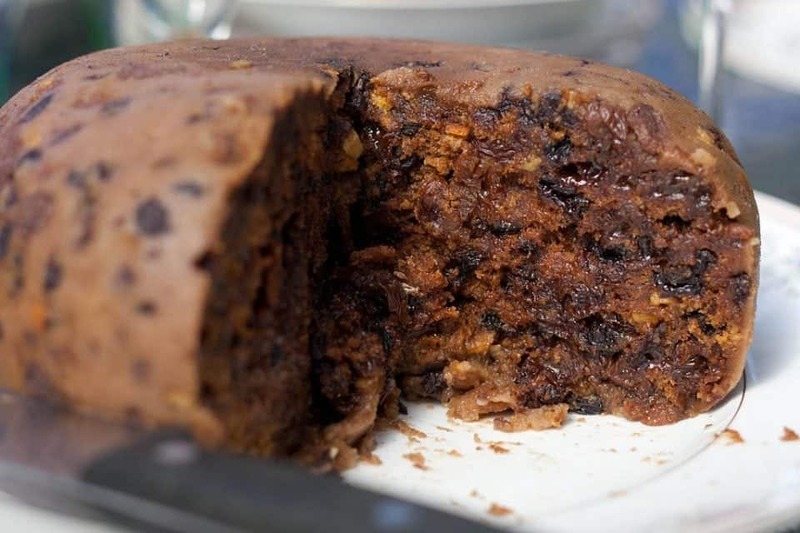 The pud as it is fondly known contains a host of dried fruit particularly raisins, suet (yes beef suet) spices likes cloves, nutmeg, and ginger and the whole thing is brought together with some kind of alcohol from rum to brandy to whiskey it really doesn’t matter as long as it’s there. 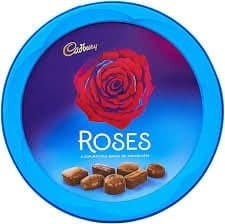 The great Christmas chocolates, Quality Street, Roses and Selection Boxes. In every kids stocking or pillow case or whatever they hang for gifts there will be a Selection Box. This is a simple gift of a variety of chocolate bars that they can chew on until they get sick. There is always an orange, a clementine or a mandarin or two in the sack as well. This more than likely dates back to the depression years or war years when treats like this were unavailable most of the year. St. Stephen’s Day, which is also known as the Day of the Wren commemorates the life of St Stephen, a Christian martyr. St Stephen was believed to have been stoned to death sometime around the year 33 CE. According to an Irish legend, a wren while hiding from his enemies (this is another of the wren legends) betrayed him. Another legend tells of the Viking raids on Ireland around the year 750 CE. Unlike the tale of the Irish village that was, rebelling against the English this legend says that Irish soldiers approached a Viking camp to drive them out. However, a wren started eating some crumbs on top of a drum and alerted the Vikings to the presence of the Irish soldiers. Irish Spiced Beef is traditionally served on St Stephen’s Day (26th December). Spiced beef is a rump or silverside of beef that is cured and salted then boiled in water or Guinness. After this marinade, it is then roasted and served for lunch or dinner with the usual accompaniments. These days, just like in N. America St. Stephen’s day is when all the Christmas sales start and the stores are jam packed with thousands of bargain shoppers and kids spending their Christmas money. New Years Eve across the world is the celebration of winter and the seasons moving into spring. Marking the end of the harvest season and the darkest part of the year, here is Ireland you can physically see the sun staying out longer and longer. The celebrations are held all over Ireland with feasts and fireworks. Drinking, parties, theatre, cabarets and simply going down the pub with the neighbourhood, we all celebrate the end of an old year and the birth of a new one.